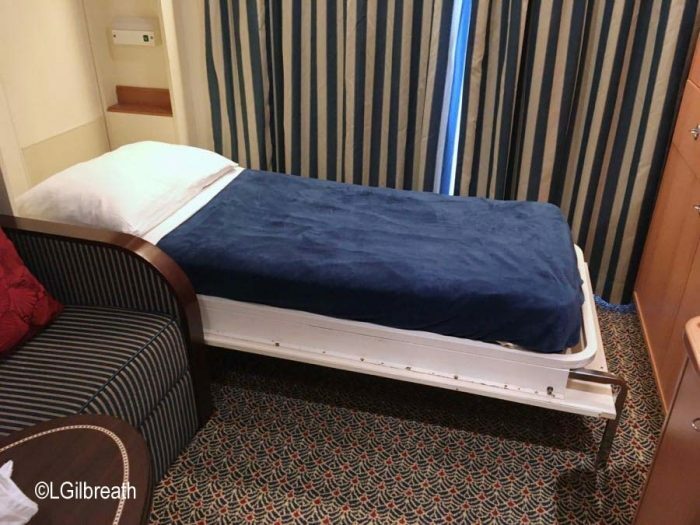 When we boarded the Disney Wonder for our Panama Canal cruise last fall I took some video of our stateroom, which I finally have gotten around to editing together. 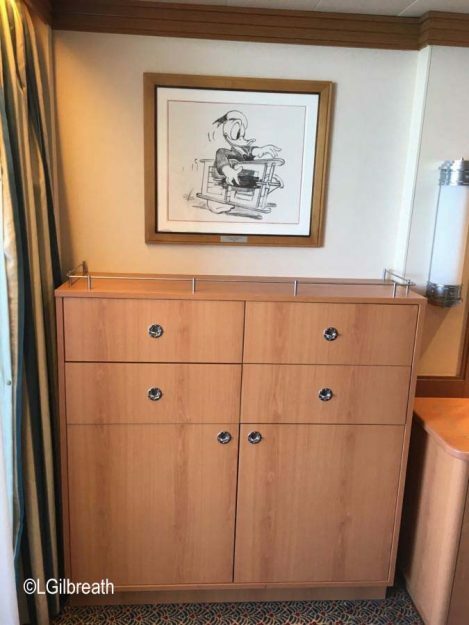 This was a Category 04B Deluxe Family Oceanview Stateroom with Verandah, located on deck 8. It sleeps up to five guests – in addition to the sofa bed and pull-down bed there is a twin-sized Murphy bed that folds down between the sofa and the window. Since we were going to be on board for two weeks we wanted a little more room – this one is 304 square feet. It was noticeably longer than what we usually get, since it had to have the extra width for the Murphy bed. There was also extra storage space – which you’d really need if you had five people sharing the room! 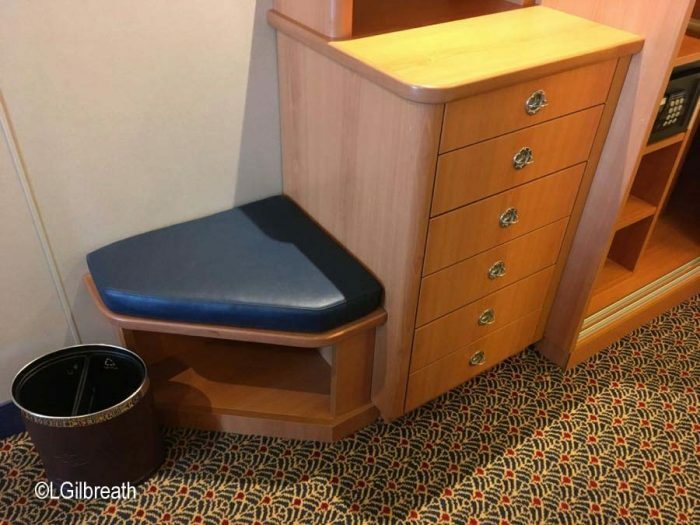 This footstool next to the dresser was a nice touch, also. We were quite comfortable in the room for the two weeks that we were on-board… and at the end we still weren’t ready to leave! Do you have any questions about Disney Cruise Line? Have a favorite stateroom or stateroom category? Let us know by leaving a comment.